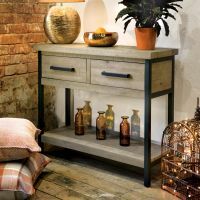 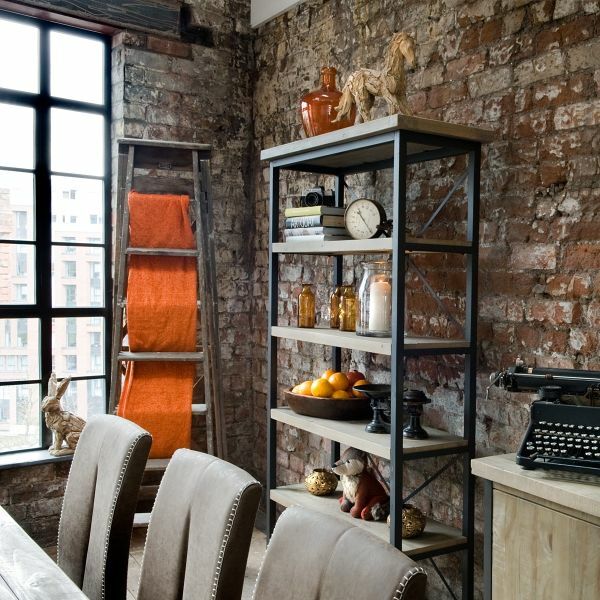 For some practical, stylish storage for your hallway or living room look no further than the Hulstone Industrial Console Table. 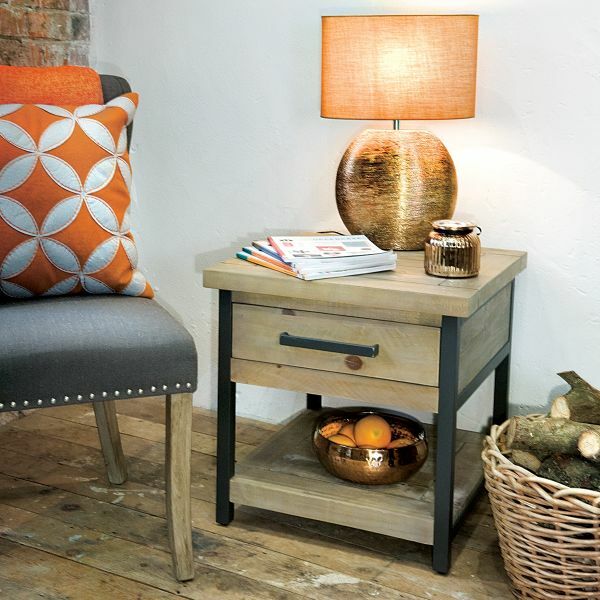 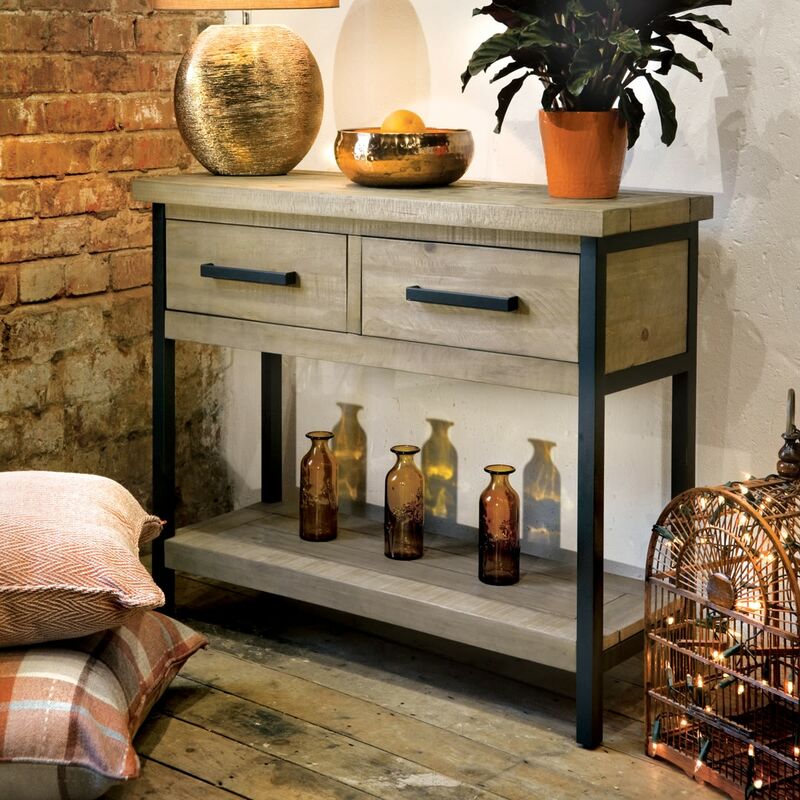 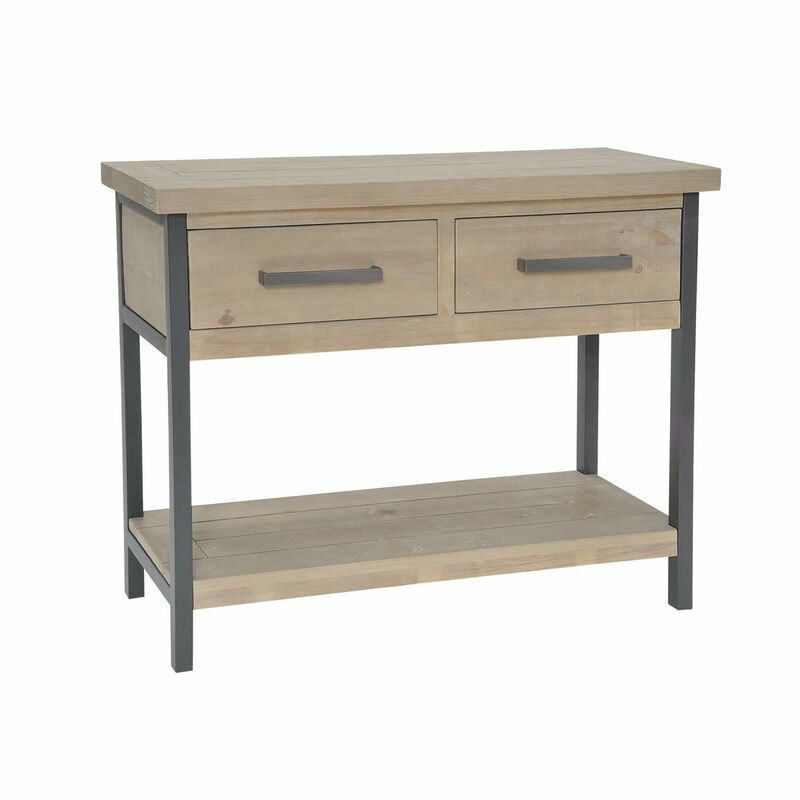 Crafted from reclaimed rough sawn pine, this console table will bring modern, urban charm to any space. 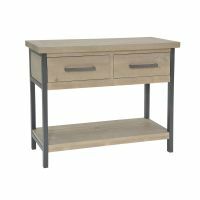 The two useful drawers are finished with powder coated charcoal steel bar handles that match the frame of the console table. 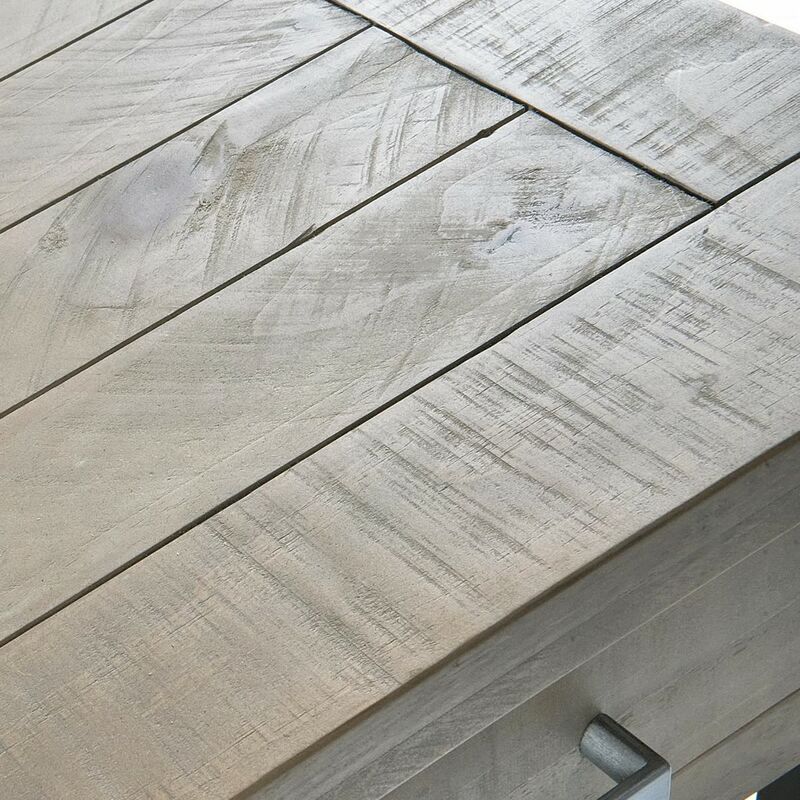 The timber has been given a grey wash tint lacquer which enhances the unique imperfections and bring out the natural knots and grain pattern of the wood. 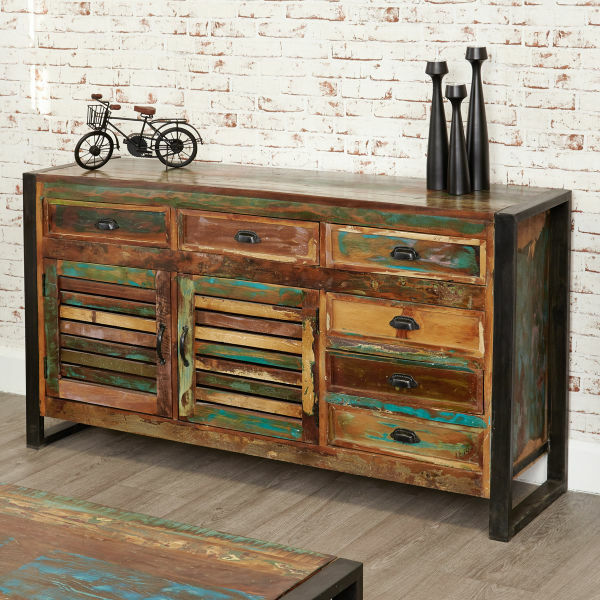 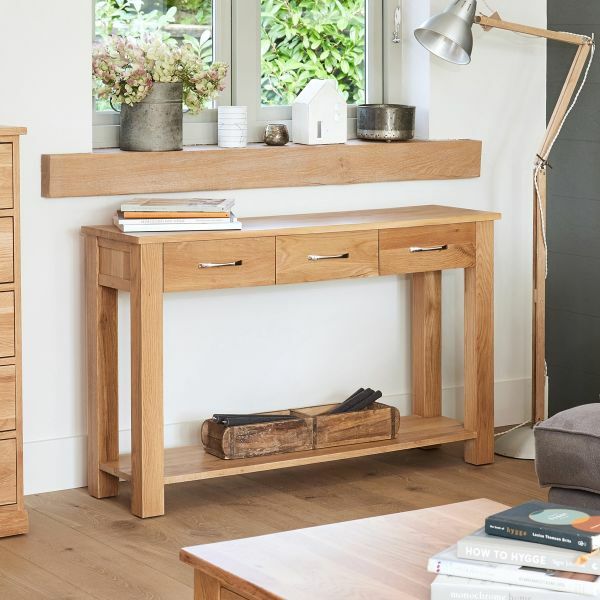 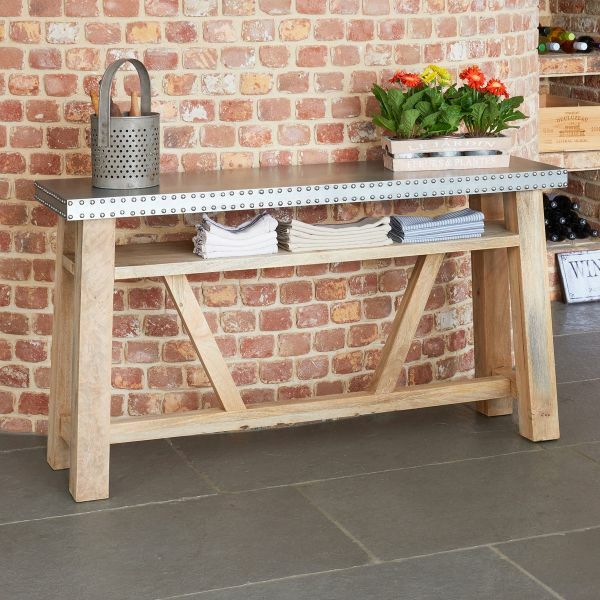 Crafted from solid reclaimed rough sawn pine with a matt steel frame, this stylish console table requires minor assembly and is delivered within ten working days. 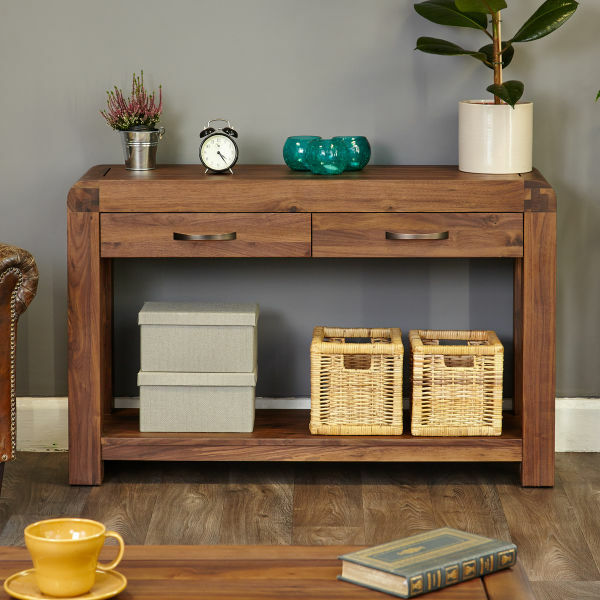 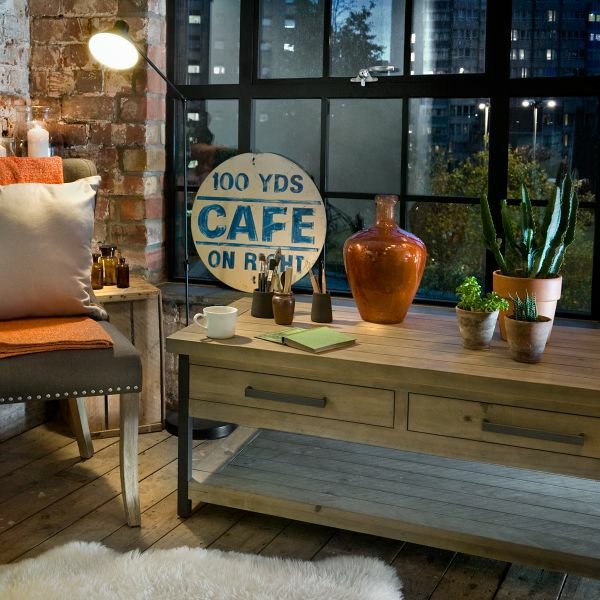 If you're looking for a sleek alternative, why not consider our best selling Urban Chic range of console tables?